Mahindra is back at doing what it does best, which is making big, burly SUVs! And the new model that we drove is a bit special because, it is going to be the new flagship from Mahindra. 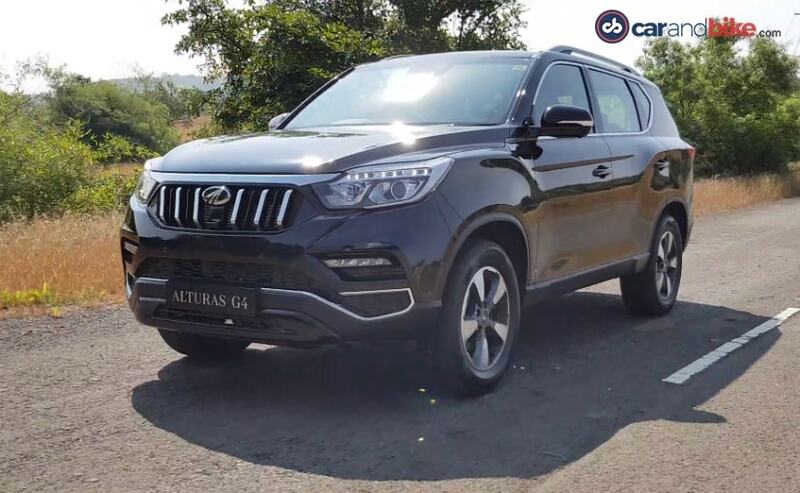 This is the all-new Mahindra Alturas G4. It is basically the fourth generation model of the Ssangyong Rexton and we did happen to drive it in Korea last year. The last time the Rexton was launched in India, it had a Ssangyong badge, but this time around, it will just be a Mahindra SUV. This bodes well as it also signifies the coming of state-of-the-art Ssangyong range in India. Compared to the previous generation model that was sold in India, this one is all-new ground up and holds a lot of promise. 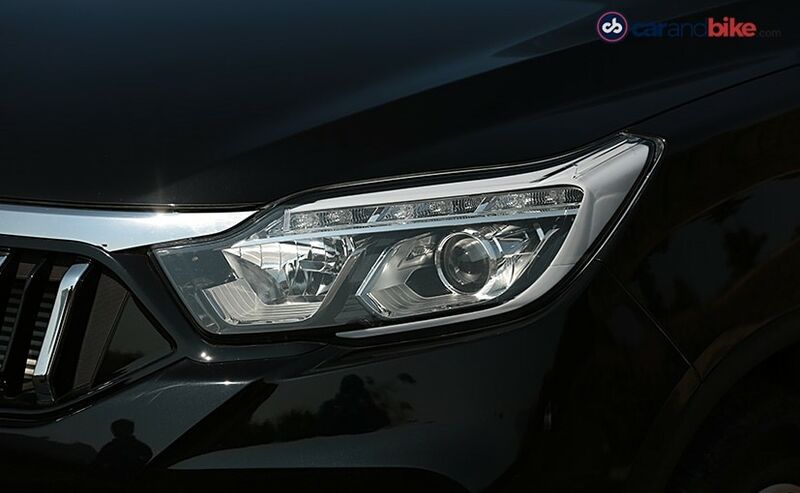 The front of the SUV is characterised by the bold grille with a chrome surround and the stylish looking headlamps and topped off by the sculpted hood. The silhouette is slightly boxy but it only adds to the more SUV-ish design rather than a crossover. The design at the rear is much simpler, with a regular boot and wraparound tail lamps. Rather than having a small name badge on either side, the Alturas G4 has its name lettered just above the loading lip, which in our opinion, doesn't quite gel well with the overall design. It looks out of place. We were impressed with the way interiors are designed. The cabin has a dual-tone theme of black and brown, where the brown is quilted Nappa leather. It does look and feel premium and the fit and finish inside is perhaps the best on any Mahindra vehicle. The dashboard uses soft touch plastics and good quality materials for a nice, tactile feel.... 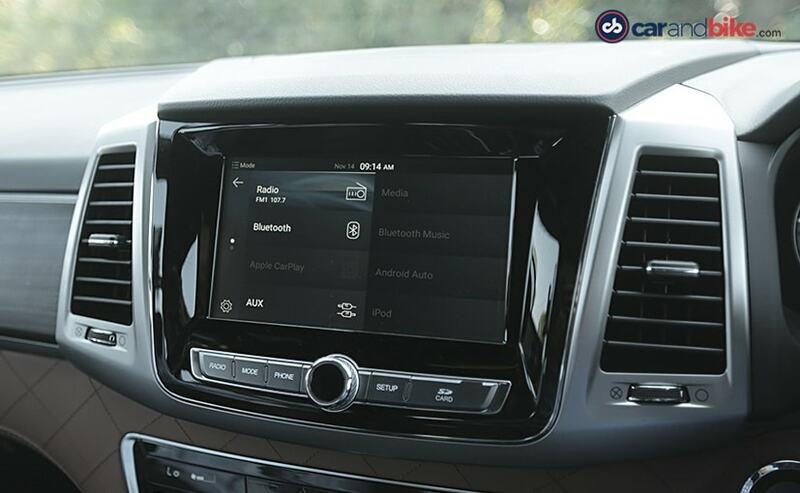 There is an 8-inch touchscreen infotainment system which has smartphone integration along with the other connectivity options. You also get a dual-zone fully automatic climate control along with 8-way adjustable powered driver seat with memory function. In terms of safety, the Alturas offers 9 airbags on the top-spec trim, which is the four-wheel drive variant and is also best-in-class. You get ABS with EBD and hill assist as standard as well. The Alturas gets a 2.2-litre diesel engine which makes one hundred and seventy eight bhp at 4,000 rpm and 420 newton metres between 1,600 to 2,600 rpm. 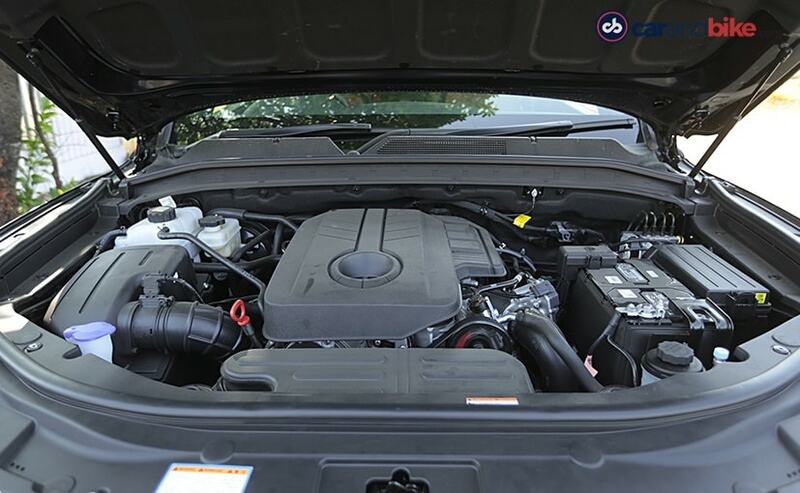 The engine is paired to a 7-speed automatic transmission and of course, you get four by four as an option. The engine is euro-6 ready and there will be neither a petrol engine nor a manual transmission even as an option for now. In typical Mahindra fashion, the engine makes a ton of torque right from 1,800 rpm. The good part is that the gears too hold the revs, making for smooth operation and overtaking. The particular trait makes the Alturas a nice vehicle to drive in the city and on the highway. The engine might not wow with its performance but is more tuned for heavy duty work. We wish Mahindra had offered a slightly weighted steering on the Alturas. It is lighter than we would have liked and the unit itself feels flimsy. We would have liked to hold a chunkier steering which feels nicer to hold. Also, the handling is not the best in the segment and there is quite pronounced body-roll as well. But then of course, nothing that's a deal breaker and we really like the performance of the 2.2-litre diesel engine on the Alturas G4. The ride quality is slightly on the bouncier side but again, not to the extent of being uncomfortable. 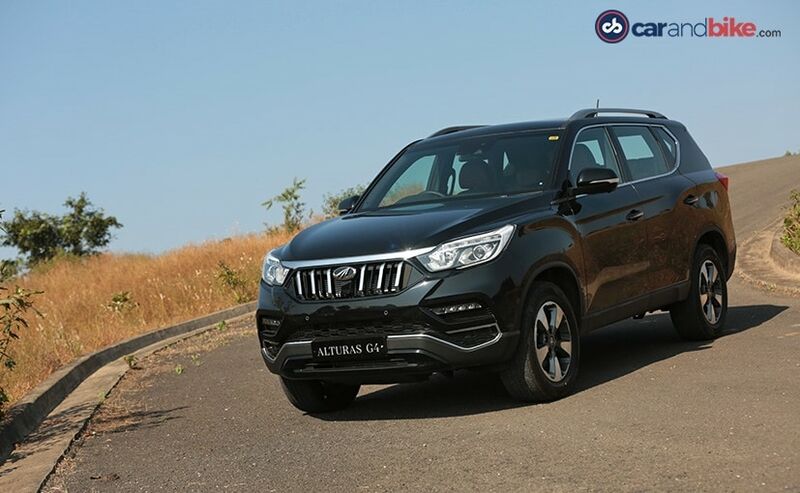 Driving the Alturas G4, you definitely get the feel of solidity that every Mahindra SUV boasts of. It goes up against established rivals such as the Toyota Fortuner, Ford Endeavour and the Isuzu MUX. 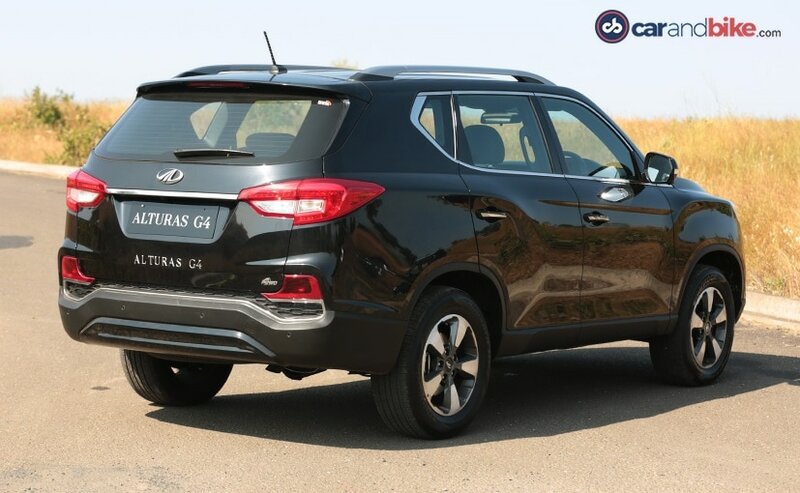 The Alturas G4 is impressive as an overall package! 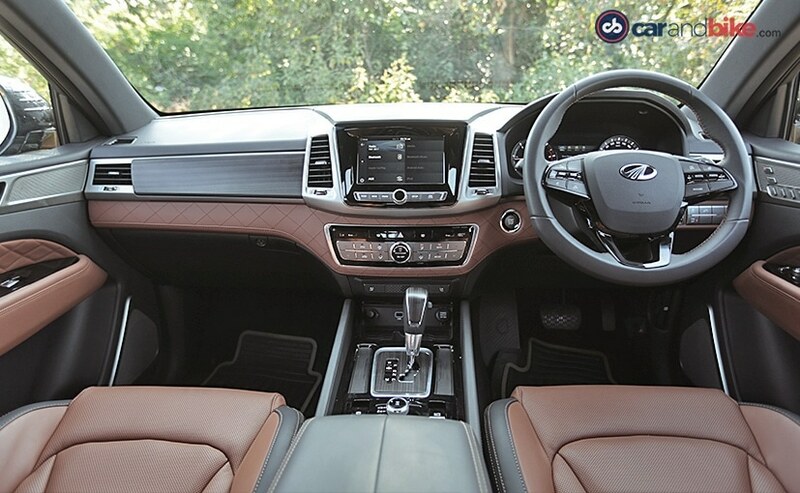 It has solid road presence, has a tonne of features, well-appointed cabin and has a decent engine too. Will it be enough for Mahindra to enter into a new SUV segment and own it? Definitely, provided Mahindra nails the pricing for the Alturas G4.